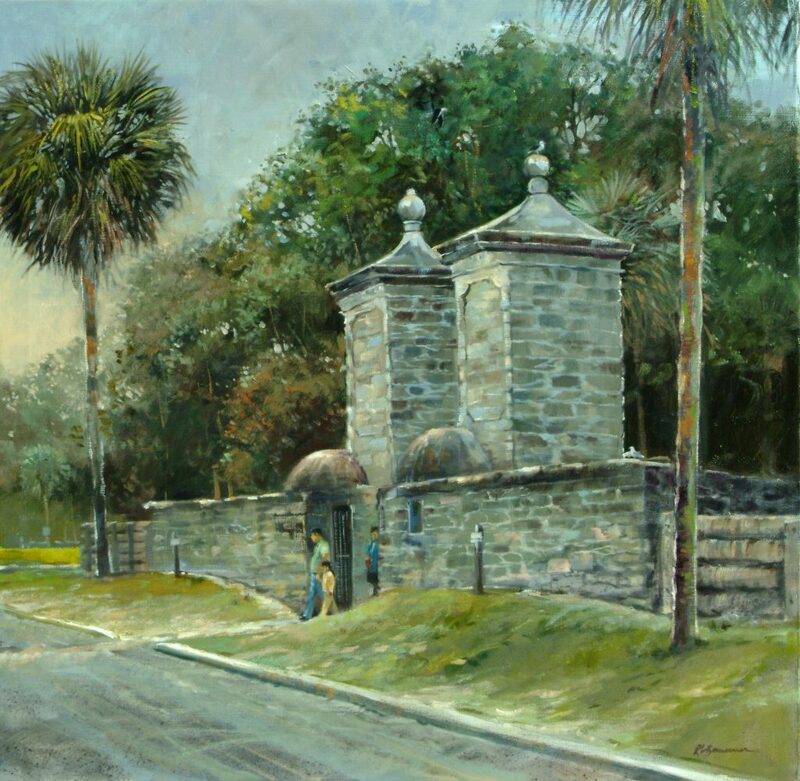 The Old City Gates here in St. Augustine are one of the first things tourists see when driving into town. They are located right across the street from the fort. I did this painting on a grey overcast day which gave the painting a more period look as opposed to having a bright blue sky. I added the family to give the painting some scale. Without them it would be hard to tell how large these gates are.